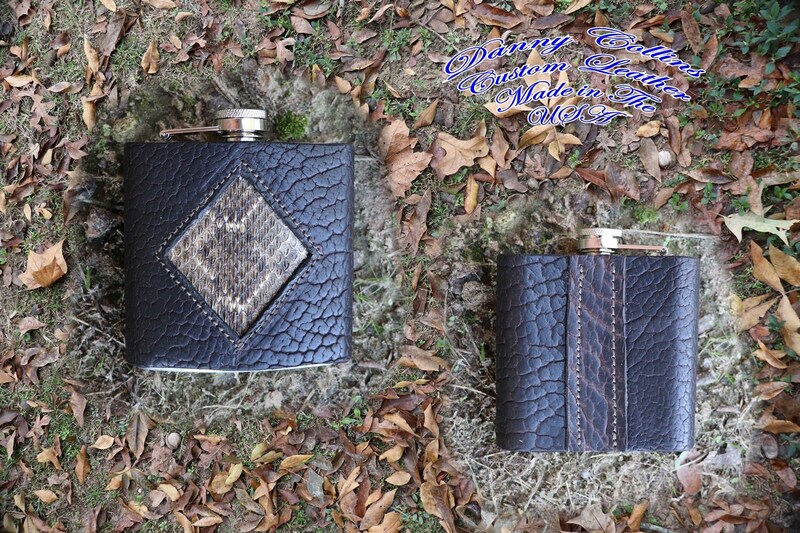 This six-ounce stainless flask is wrapped in a fantastic shrunken American bison leather (aka Buffalo) with genuine rattlesnake inlay. As per the flask manufactures instructions alcohol should not be stored more than three days in the flask. The flask pictured is the flask you will receive and will come with a stainless flask funnel.